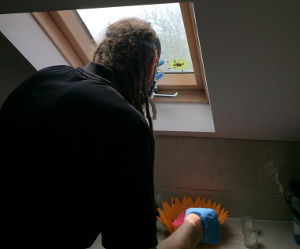 Office & Home Pest Technicians Whitton TW2 | RDA Cleaning & Maintenance Ltd. When you choose the type of the service a team of our pest extermination technicians Whitton TW2 will come and evaluate the level of infestation to your property, the infested areas and means on how to deal with it. The pest control team will then proceed with an explanation on what to do before the service, during it and after in order to ensure the maximum efficiency required. Before the removal process can start it is required that all pets (including fish) be removed from the property. The second step is where the technicians do a complete hover on the areas which require treatment. The customers should find a place to stay during the treatment period because access to the treated areas will be prohibited for safety reasons. For two hours after the treatment, no one should enter the area so that the poison can settle in completely. After they have been given access again the customers should open all windows and doors for about five to ten minutes. Our pest management Whitton TW2 services aren`t hourly based. Instead, the well-trained and experienced pest control technicians come for an inspection in advance, negotiate the options with you, provide quotation and only then, appoint the service date. We give you instructions whether you have to do something before or after the service. Our reliable pest control company never leaves the premises with unfinished job. We stay until needed. Upon completion of the service, the client has 3 months guarantee, in which only 2 extra visits can be arranged free of charge! If you want a team of high trained pest control Whitton TW2 professionals that will bring high-quality pest control services at your disposal. Then please give us a call at 020 3404 1646 or use our online booking form. This way you can be assured that the best of professionals will be working on your case. So do not hesitate to contact us now.